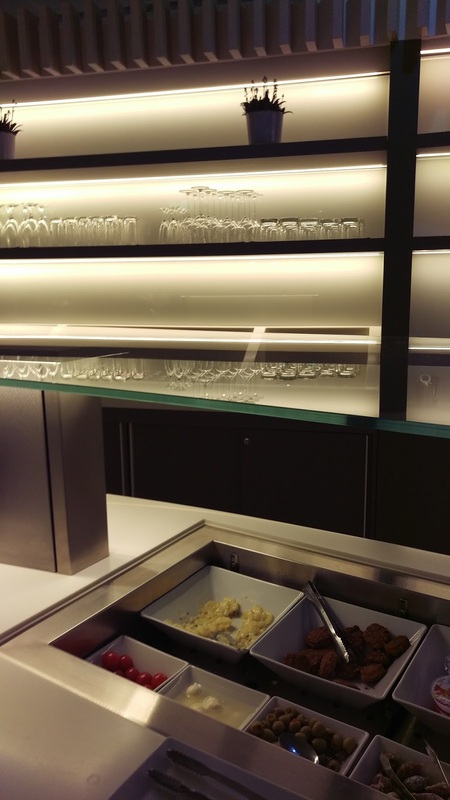 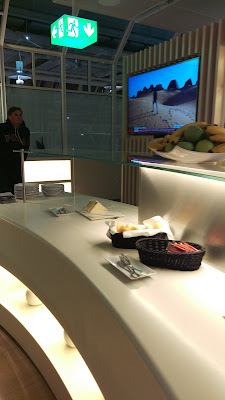 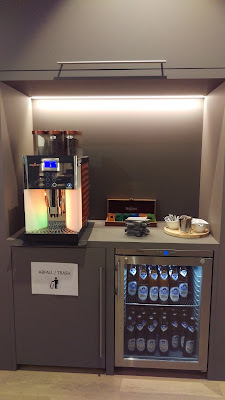 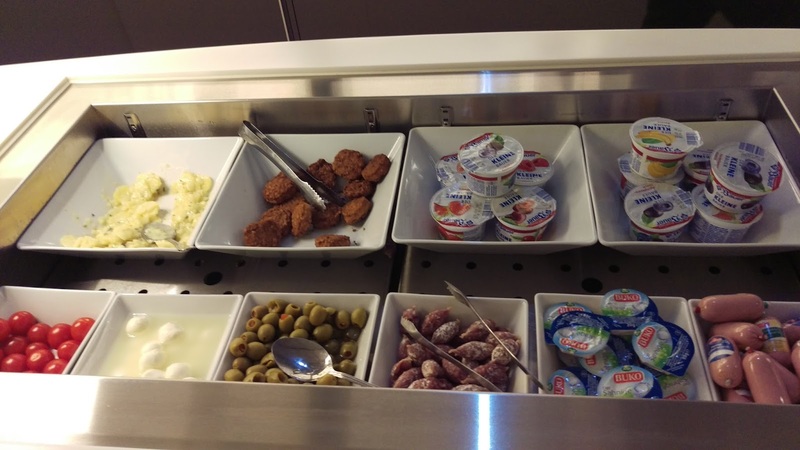 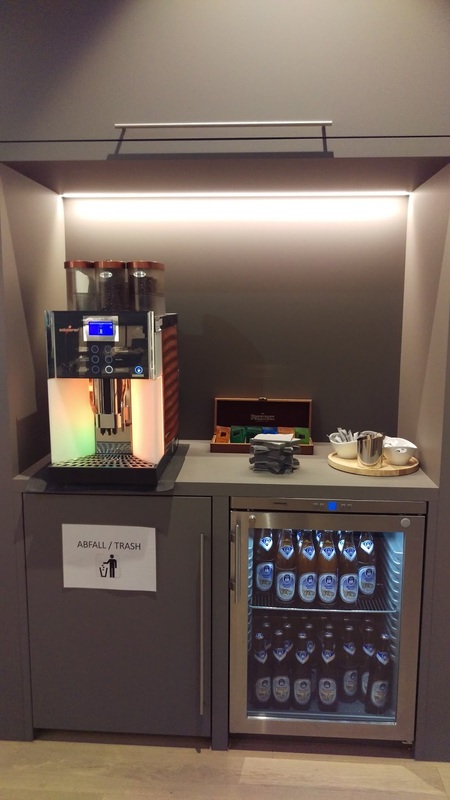 Usually, when flying thru Munich one would stop at one of the various Lufthansa lounges , which in the case of the Senator lounges (accessible via Star Gold cards) one can find a decent meal selection and some good liquor as well as other beverages. 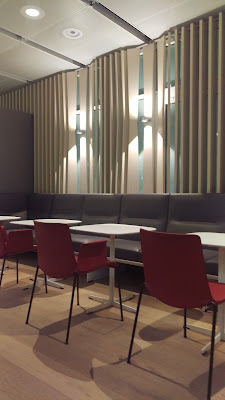 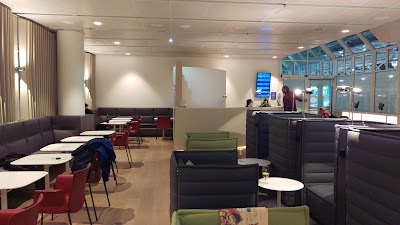 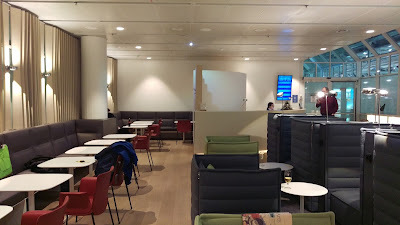 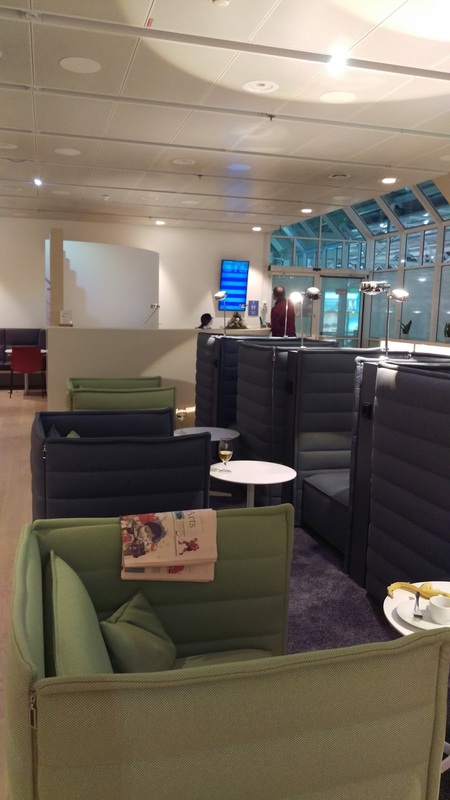 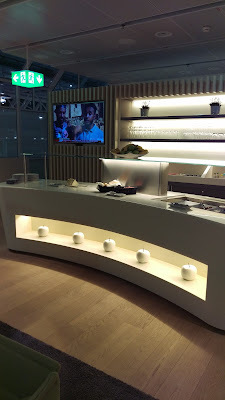 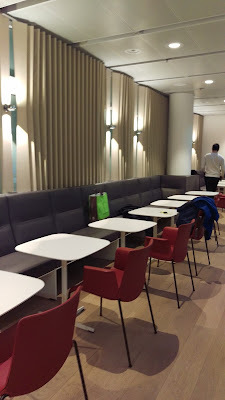 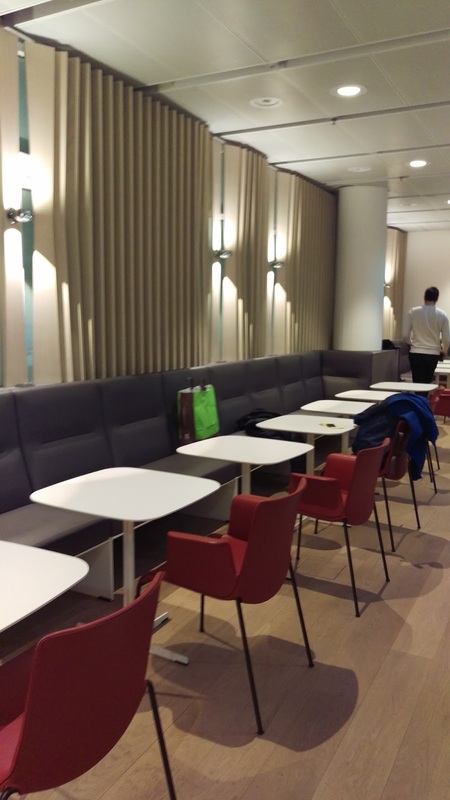 This time I was flying out of Terminal 1 on Vueling, so I used my PriorityPass card to access the "Airport Lounge Europa" which serves as one of the lounge in the Schengen area of the terminal. 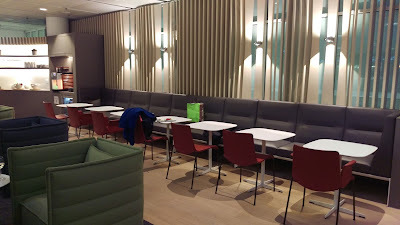 The lounge was surprising empty, which allowed us to have some space to spread out and drop our stuff. The usual selection of free newspapers and free Wi-Fi were available and I picked up a copy the Financial Times. Food options consisted of a cold buffet with various options.